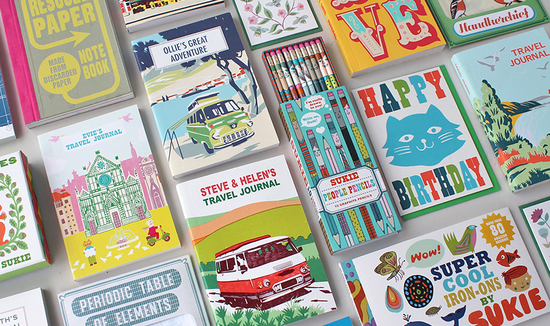 Welcome to our wonderful world of paper goods & printed happiness! 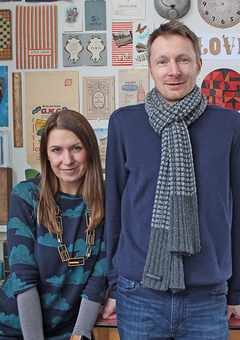 Established by Darrell & Julia Gibbs after Darrell graduated from the Royal College of Art, Sukie have designed for some of the world’s most exciting retailers and publishers. 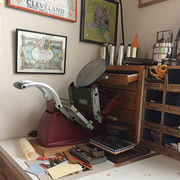 The Sukie studio is packed with vintage books, maps, stationery & writing accessories, prints, found objects, as well as antique book presses and printing equipment, all of which is put to good use in the creation of a new product. 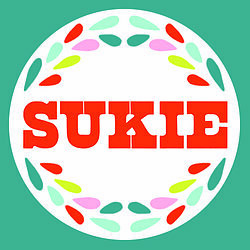 Inspired by the past and reimagined for the present, Sukie are always thinking of new ideas and new ways of making a one-of-a-kind design. We love to make things personal and have a growing range of personalised gifts to surprise and delight. 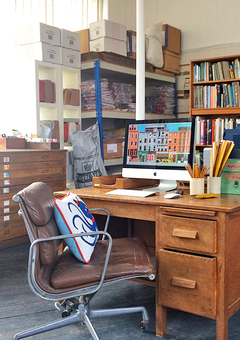 Each and every one of our items are carefully handmade (often in our studio in East Sussex) and lovingly prepared and packaged especially for you. We are gift-wrap aficionados and there is nothing we like more than preparing a personalised gift from start to finish! We hope you enjoy our fun and quirky designs as much as we like making them! "Super handkerchief, they are a nice generous size and the quality is high. Unique designs that get lots of comments from people. They wash well and have got softer over time too. 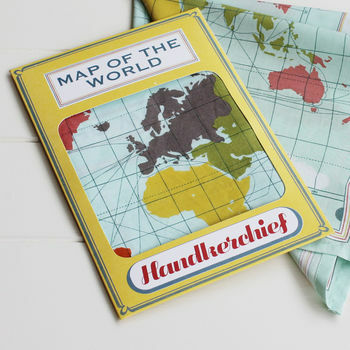 Needless to say I have bought the whole range of designs now, constellations, birds and world map." "The journal arrived quickly and is excellent. I purchased this for a gift and my friend absolutely loved it. It was exactly what she had been searching for. 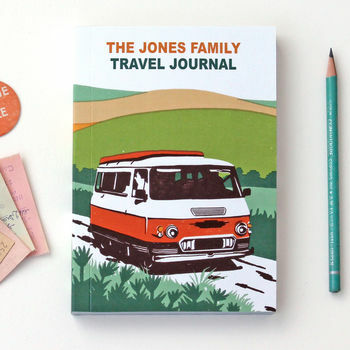 It included pages and pockets etc that was needed to record special moments on her travels." 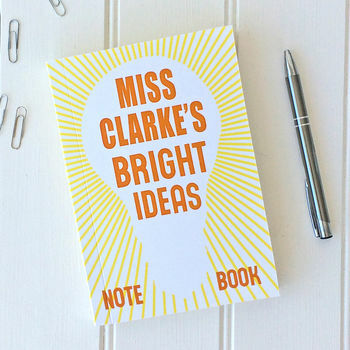 "Perfect present for my fiancé who is always making notes and lists about everything!! Wonderful quality." 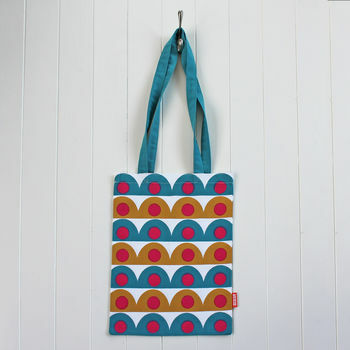 "A good tote bag. Bought as a gift for my classroom assistant at the end of term. A pretty and practical item."